/Cre·a·tor/ - One who transcends traditions, rules, and norms to create meaning through new ideas and interpretations. A source of imagination. An original. A change maker. The world has many labels for People of Color. Creator is rarely one of them. Business, Wealth, & Economic Empowerment. Join us Friday, September 21st for FREE Networking, FREE Refreshments, and a FREE After Party as we celebrate being our fully authentic, free, and creative selves. We will also have a wide range of Creators sharing their products and services. I Am A Creator is a multicultural network for Innovators, Policy Makers, Artists, Idealists, Activists, Entrepreneurs, and Influencers in every field. We believe we can change the face of our communities by transforming our mindsets through innovation and creativity. We empower individuals to reclaim this mindset and pair it with increased creative confidence. 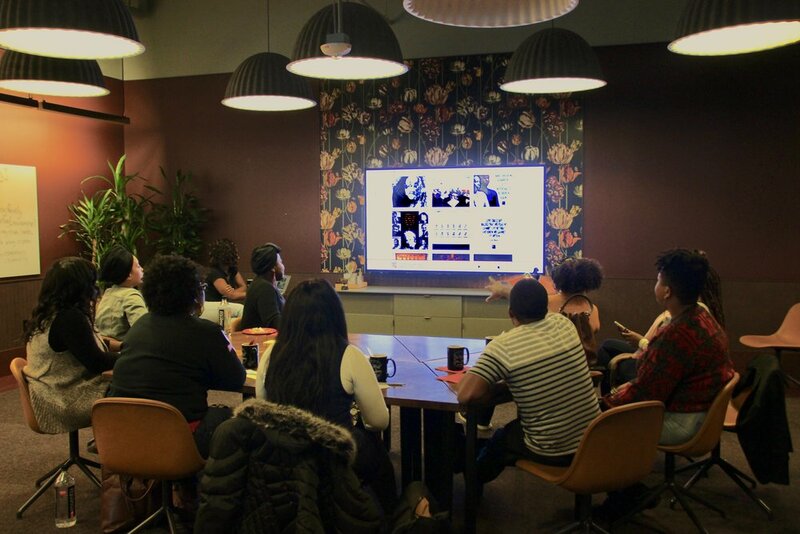 We create spaces where People of Color can feel informed, affirmed, and nurtured to pursue their creative initiatives in ways that positively impact their own well-being as well as improve the lives of others. We are a community that celebrates creativity birthed from People of Color. We connects Creators with like-minded peers to help them pursue their creative goals with the support they need to succeed. We are a platform for those ready to leverage their creative force and increase their personal sense of meaning, mastery, and freedom. When Creators are free to create, we all become that much more more free. Support I Am A Creator: The Collective by purchasing our latest gear and products. Every item bought on our Marketplace helps build a movement based on this vital self-affirmation. Feel free to leave a review or share your creative style on social media using #IAmACreator. We love to hear from happy customers and shout out fellow Creators! The fashioner of freedom made from blood, sweat, and flames. I am both magic and real. Follow us with #IAmACreator on social media and let us know how you stay creative everyday. Contact IAAC to share your creative efforts on our website's Creative Space, in our Digital Magazine, or to become a sponsor of one of our local event.